As part of the opening of the new high-speed line connecting Paris to Bordeaux, rail operator SNCF has extended its partnership with Mapwize to two additional stations. The customized indoor guiding system already in place at Gare de Lyon in Paris is now also available for Paris Montparnasse and Bordeaux Saint-Jean. In those stations, TGV Pro app provides users with the ability to identify the fastest way to reach the platforms or other specific areas, and therefore improves the passenger flow. Mapwize provided the official mapping at the Rise Conference in Hong Kong. Organized by the Web Summit team, the largest startup event in Pacific Asia welcomed more than 14,000 visitors from 90 countries. In addition to the mapping app, Mapwize was invited to exhibit on the event, where the team met numerous new partners of interest for the company’s international development. On October 3rd and 4th, Microsoft Experiences Conference focused on digital intelligence, will be held in Paris Conference Center. 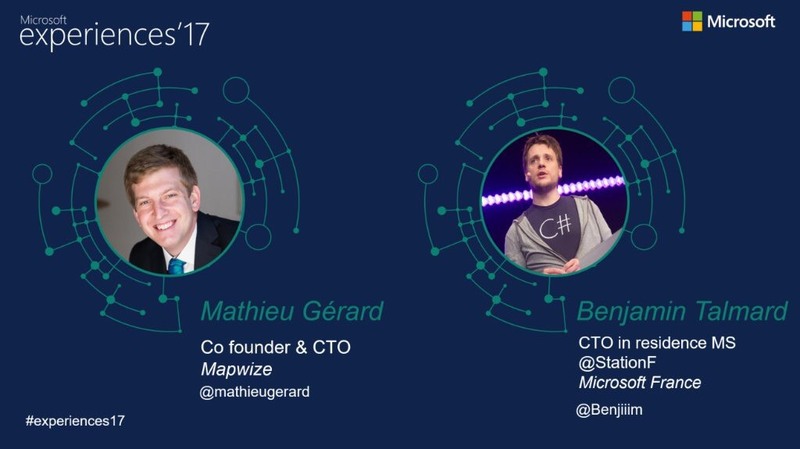 On October 4th at 4pm Mathieu Gerard, co-founder and CTO of Mapwize, will present a session with Benjamin Talmard, CTO in residence at Station F. This session entitled “A Cloud architecture 100% managed with Open Source technology in Azure” will set forth the technical architecture selected by Mapwize to make the best use of the Microsoft Cloud framework. To find the conference room, check out our event map! Come join us!